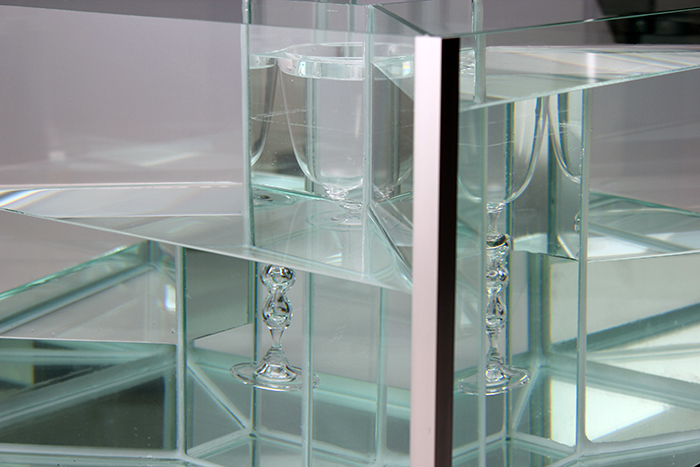 A goblet is floating in the center of a glass box that has four chambers equal in size. The box is filled with water, and each chamber has a different amount of water in it. As the viewer walks around the box the different water levels refract the image of the goblet separately giving the appearance of the goblet separating from its whole into its three primary elements: the foot, the stem, and the bowl.